What is the most popular back to school meditation technique for students? With proper mindfulness for students you will see increased productivity, accelerated learning, and improved social situations. But, when meditating for education there are some very important things to consider. It seems like from grade school to college, today’s students can barely find time to take a breath of fresh air and smell the roses. College students in particular find themselves completely engrossed in campus life, from classes and exams to the requisite parties, and they may feel like they have no time for themselves. The intense rhythm of college activities can be relentless; as a result, many students suffer from stress, anxiety and sleep deprivation. This can have a negative impact on their health, grades, relationships and joie de vivre. Having a good back to school meditation routine case ease this transition greatly. For this reason, many students are searching for healthy practices that relieve stress, calm frazzled nerves and help them relax. Mindfulness for students is a natural, easy-to-follow method that offers students of any grade who are feeling the grind important physical, emotional and psychological benefits. No fancy equipment to buy, no member’s card to acquire: a few minutes a day is all that’s required. More and more colleges and universities, recognizing the positive impact on their students’ well-being, are offering dedicated meditation spaces to help students destress and replenish. Meditating for education, where your wellness is focused wholly on your student lifestyle, can be very beneficial. Are you a student heading back to classes? Maybe just looking for a very quick way to easily meditate? Let’s discuss some popular and easy mindfulness for students. 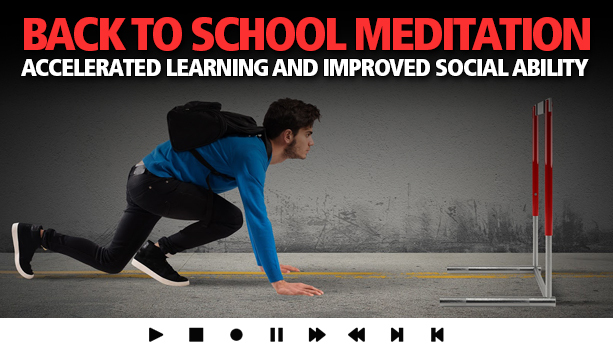 With this powerful back to school meditation you will have a social, creative, and educational edge over the student body. You will be able to retain information better, improve grades, and increase your social reach. What is the secret that the world’s most produce students are using? There are countless benefits to integrating mindfulness for students into your lifestyle. The top reason for a back to school meditation routine is decreased stress. A reasonable amount of stress is healthy – it prompts us into action and helps us achieve our goals. Too much stress, on the other hand, is extremely unhealthy. Most students have to deal with an assortment of stressful situations: assignments, tests, admissions exams, co-curricular activities and social pressures are all part of the college experience. Mindfulness for students have become increasingly more important. Powerful back to school meditation techniques like guided meditation, subliminal, passive and (the most popular) binaural brainwave doses can have a positive impact on your daily life. Meditating for education can give great results if proper technique is followed. Scientific evidence has shown that meditating for education improves your ability to cope with stress. A regular practice – even a few minutes once or twice a day – gives our batteries time to recharge. Those who build a meditation practice and stick with it develop the inner resources they need to find that place of serenity and attentiveness when they need it most. If you are using an active form of meditation like binaural brainwave sessions, the results can be even better. Meditation also helps improve concentration – a top priority for any student. Through mindfulness meditation, we train in focusing on the present moment. When we begin meditating, one of the first methods we learn is how to settle our attention on the breath. This disciplines the mind to focus on a single activity at a time. It actually takes a lot of willpower to set the mental clutter and chit-chat aside and concentrate on the here and now. Research has found a compelling link between regular meditation sessions and enhanced attention spans. Meditation practice has also been shown to promote creativity, improve happiness levels and foster peace of mind. These are all crucial facets of emotional health. By acknowledging what we presently feel and working with it directly, we develop a more positive mindset. Exam meditation, for instance, helps students overcome their fear of disappointing results so they can develop a more positive attitude towards the exam process here and now. Luckily, getting really effective meditation sessions is just a click away. Confident minds also enjoy the challenge of finding inventive solutions to problems and puzzles. Good professors generally appreciate students who are willing to think outside the box. Meditation has been shown to bolster creativity and give inquisitive minds free rein to innovate. How can you use a good back to school meditation? A specific benefit for students, exam meditation can help reduce the fear and anxiety associated with taking tests. Many students, regardless of how well prepared they are, worry about exams. Unfortunately, the negative energy and anxiety associated with exams can make students perform poorly, even if they know the material. By creating space in your mind, meditation instills a renewed confidence into yourself and a more balanced view of life, allowing you to handle exam questions – and life in general – better. Sound can be healing in more ways then one. There is conclusive evidence that mindfulness meditation promotes quality sleep and is an effective treatment for insomnia. Meditation for education is very important. For students using back to school meditation, it’s often difficult to find time to sleep. When they do finally turn in, their minds are so busy that they find themselves ruminating about the next paper or exam instead of falling asleep. Once again mindfulness comes to the rescue! Just a few minutes of regular practice can help train body and mind to disconnect from the busy-ness and pressures of college life. Research has shown that regular meditation can be a more effective remedy to sleeplessness than medication. If you already have a positive outlook and use positive affirmations, even better. What types of meditation work best for students? While guided meditations are good for general mindfulness, they do not work well for students. A guided meditation uses voice to guide students. 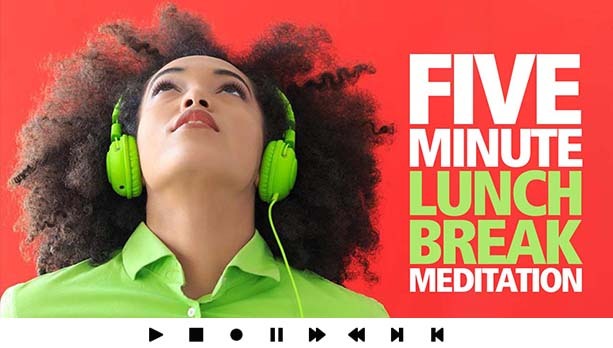 It is not ideal meditation music while you are studying or trying to retain information. Subliminal meditations are the poorest form of meditation. With hidden affirmations, you have no idea what you are getting. Don’t trust a meditation you can’t actually hear. What is the most effective back to school meditation? 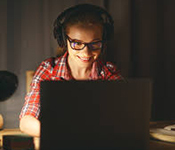 Binaural brainwave induction techniques are used most often by students. Binaural beats are auditory brain-stem responses which originate in the superior olivary nucleus of each brain hemisphere. They result from two different auditory impulses or sounds, heard from opposite ears. 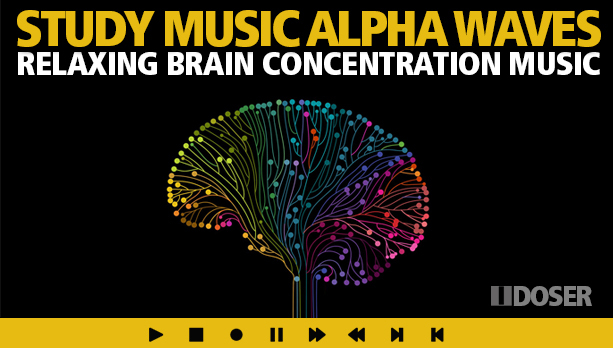 This effectively tunes your brain for increased learning, powerful retention, and more. Because there is no vocal audio, it is ideal for long study sessions. It has also been shown to improve sleep. When choosing a binaural meditation go with a proven company. Stay away from streaming binaurals, as they can be very ineffective. Meditating for education can be beneficial. iDoser.com has been leading the binaural brainwave induction industry for over a decade. 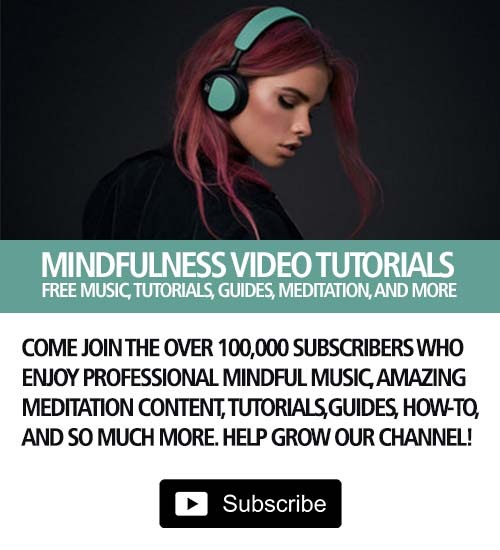 If you are a returning student looking to integrate highly powerful binaural meditations into your lifestyle, visit iDoser.com today. I am a second-year college student in the US. I started using binaural brainwave doses when I was a senior in high school. All my peers are always so tired. Not be. A binaural in the morning and I am ready to go. Not matter what I did the night before. I was all ready for college with a newly bought guided meditation cd set for students. Yea, you’re right. You can’t study, sleep, or really get must multitasking done with somebody whispering in your ear for an hour. I then switched to just white noise. It’s nice. Nature music also is nice. I have been using idosing stuff for years. I am in my final year but I expect I will be using it just as much in the workforce. Yes don’t use subliminal audio. They are literally kids on youtube whispering over stock audio and making crazy claims. I think they were popular for about a second on youtube but no more.